Sorry but i cant see ribbon bar there. It may be part of his hussar uniform. He had Türkish Gallipol Star (Harp Madalyası) too. Very good, thanks Andres for pics. 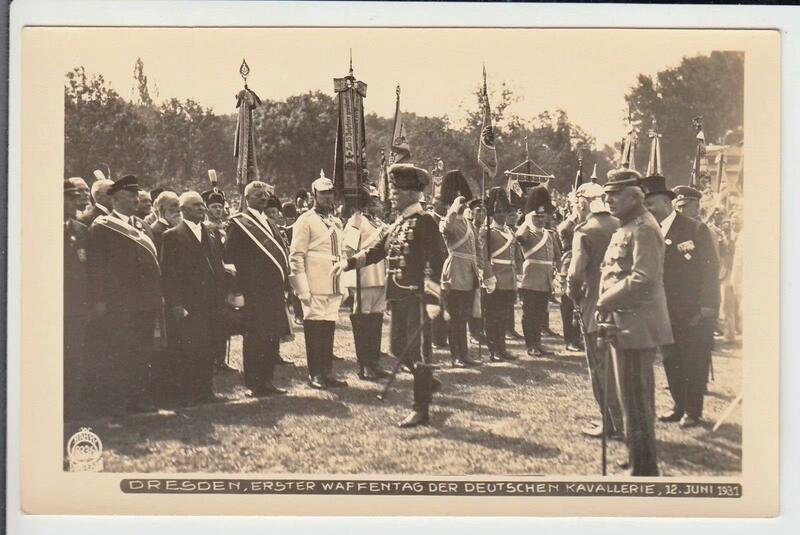 - Preusssische Kaiser Wilhelm Erinnerungsmedaille 1897. 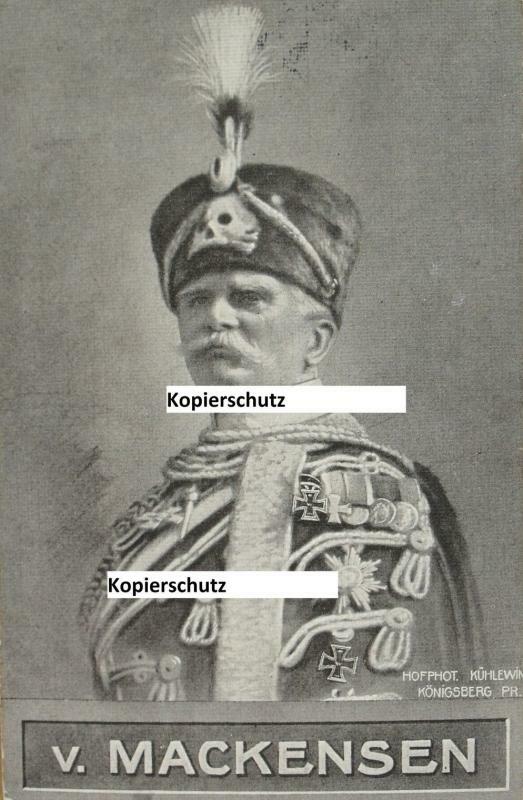 The medal after EK-II, may be Ehrenkreuz des Weltkrieges 1914-1918 mit Schwertern. 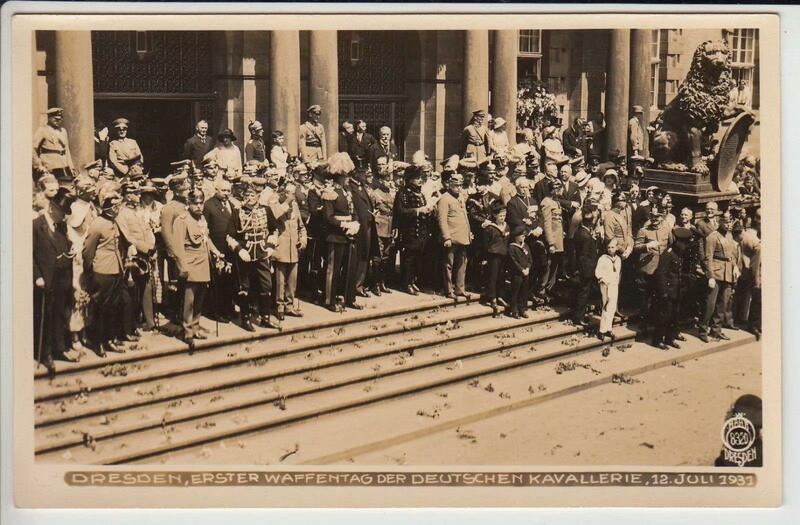 Other Mackensen's photo (source Ebay). Revisiting this old thread. I am now trying to recreate this medal bar. It shouldn't be hard but it is, because, as the thread disclosed, there are no clear pictures of his medal bar, which probably changed as he acquired more gongs. Anyone interested in taking another crack at this? So far, only the 'bookends' seem accounted for: The 1870 EK2 and the Centenary Medal. The portraits hint at a lot of things and he had a wide choice. No Long Service? No 1870-71 Campaign cross? There's some weird medal, black or very dark ribbon with a complicated metal device on a ribbon bar. Can't place it. 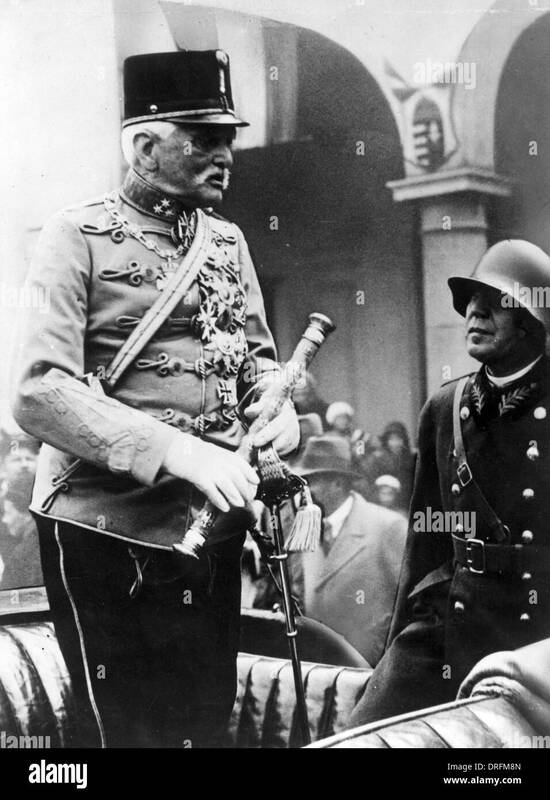 I believe that medal bar belonged to his son, Dr. Hans Georg von Mackensen. That is correct... the thread was mine. I'd love to have also his father's bar! GFM and PLM Träger mi Eichelaub!!!! This seems to not follow the precedence rules. If you look closer, I think you will see that #2 is actually the Braunschweig Kriegsverdienstkreuz fur kombattanten. In that light, the precedence rules are properly followed. Thank you. It's still a very odd assortment of medals, considering what he could have chosen to wear. And how did he get the Southwest Africa gong? 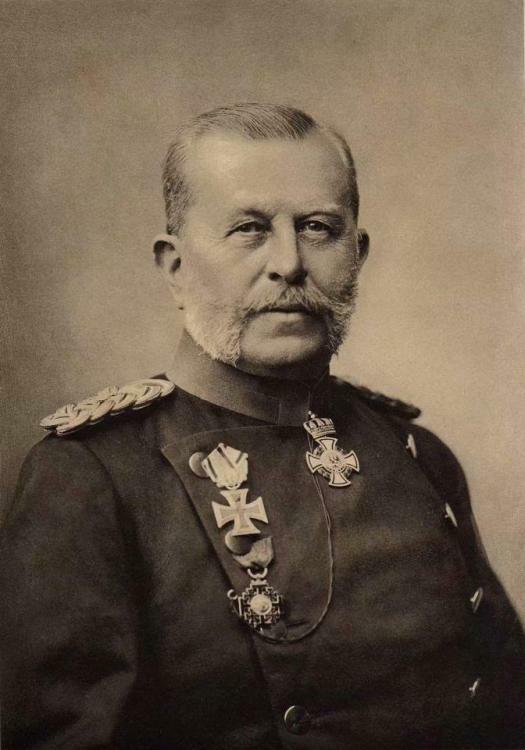 Accompanying the Kaiser as ADC? 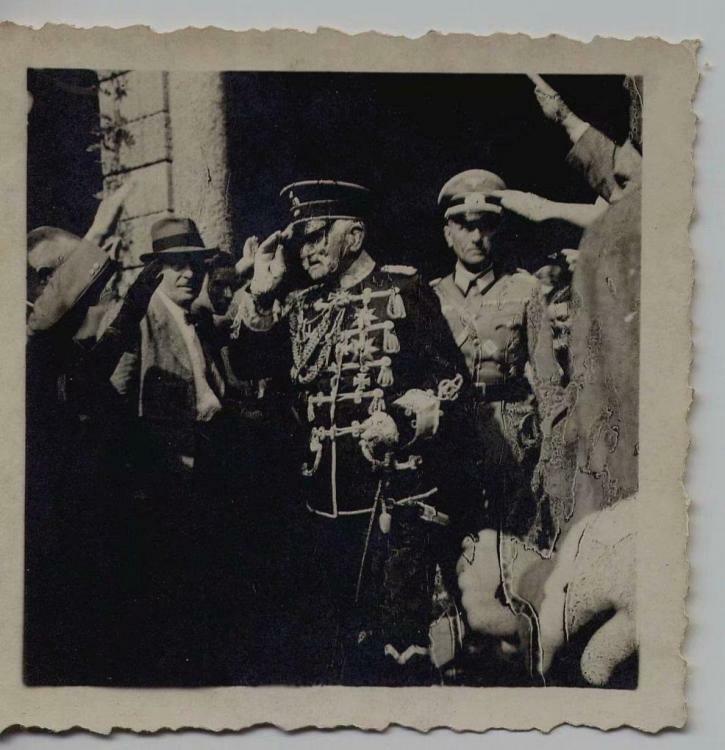 If you look closer, I think you will see that #2 is actually the Braunschweig Kriegsverdienstkreuz fur kombattanten﻿. In that light, the precedence rules are properly followed. Isn't that medal often smaller? 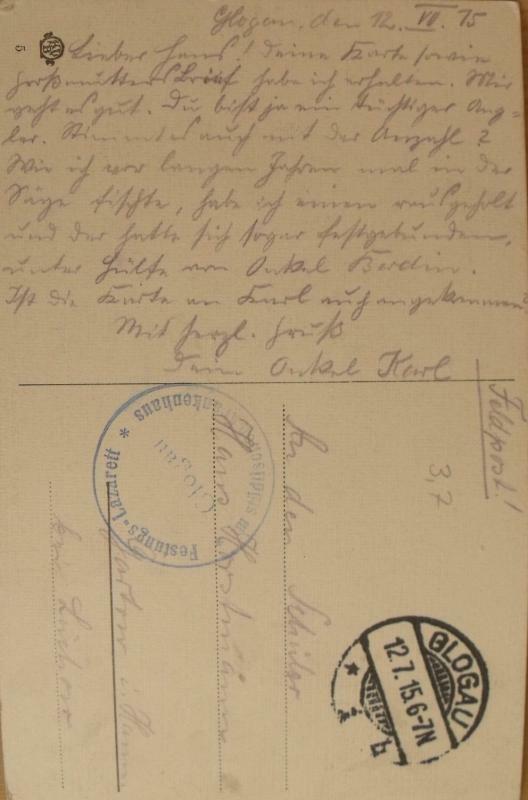 Could this be a Mecklenburg Military Cross of Merit? Also a strange choice to wear in preference to others he was entitled to. Depending on what the 3rd place medal is, it's still an odd display because of the next to last medal. Not too odd. The regs on the steel, non-combantant SW medal have that it could be earned for being involved in the preparations to dispatch to the SW colony. Just by the fact of his rank and having to approve orders to move or supply SW troops could be enough. Isn't that medal often smaller? Could this be a Mecklenburg Military Cross of Merit? The ribbon color doesn't appear to be a match. Also a strange choice to wear in preference to others he was entitled to. 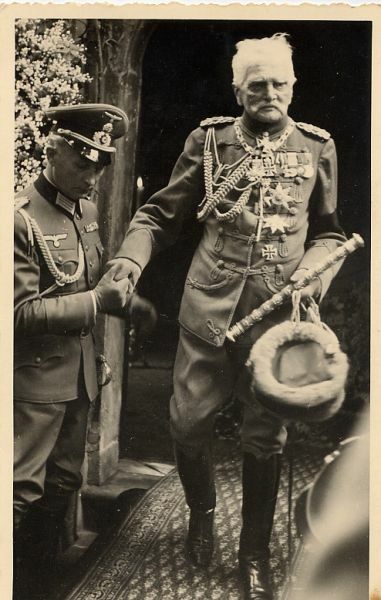 He could wear a large assortment of medals, but perhaps he wanted to show his WWI-merit awards upfront. 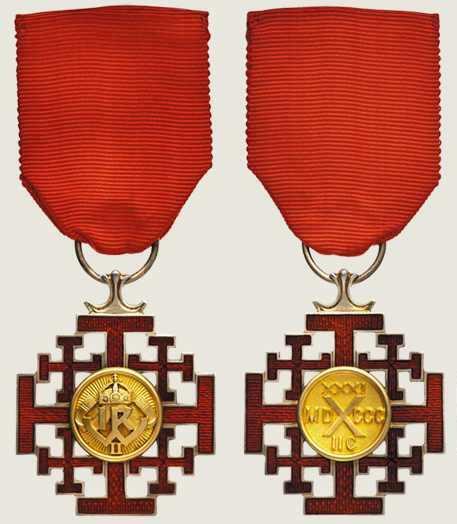 The second medal is the 1934 Honour Cross. The second to last medal is the Jerusalem Cross. 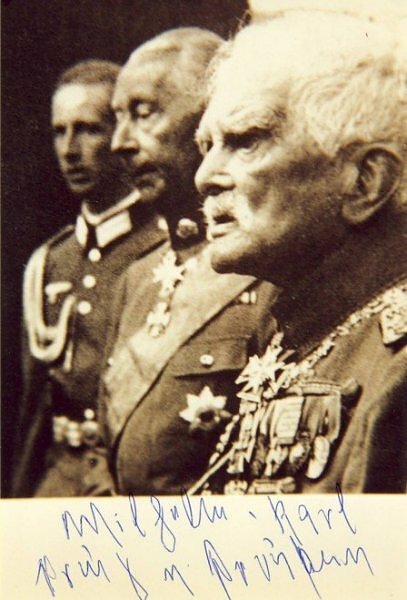 The third medal in the photograph (cross) is the Prussian Long Service Cross. 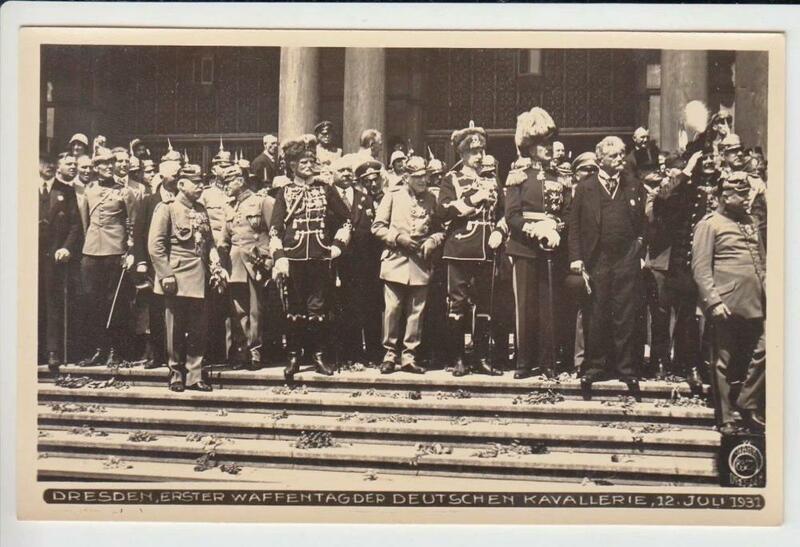 I know the Kaiser was, at one time, hot de trot for this decoration. I remember reading somewhere that he insisted on its wearing by many officers to whom it had been awarded. Still an odd medal to choose. Your suggestion about the #2 medal may be correct; can't tell from the photos I see. 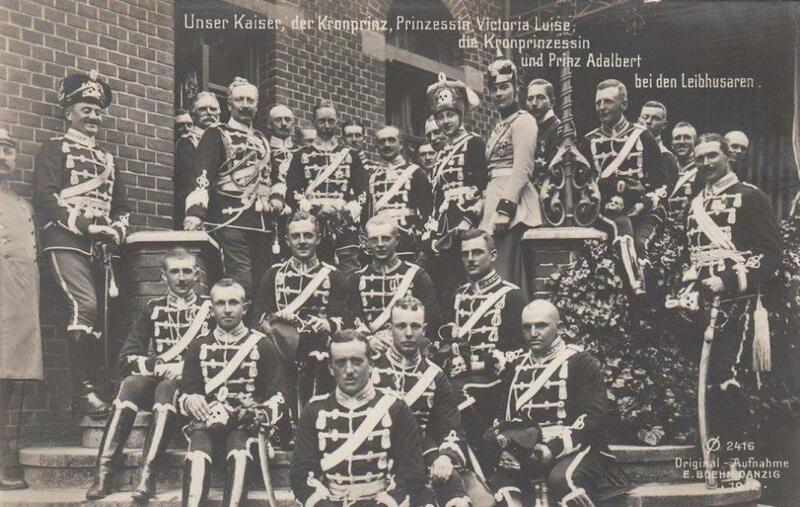 If you look closer, I think you will see that #2 is actually the Braunschweig Kriegsverdienstkreuz fur kombattanten. In that light, the precedence rules are properly followed. " 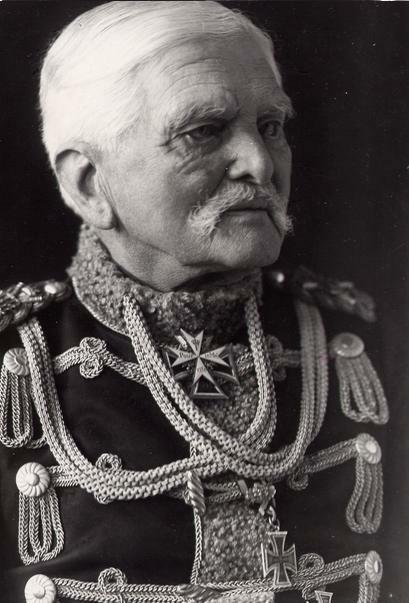 I agree the Braunschweig medal conforms to the photo appearance but the 1915 Order of precedence would allow the #2 placement only if the officer wore a non-Prussian cockade. 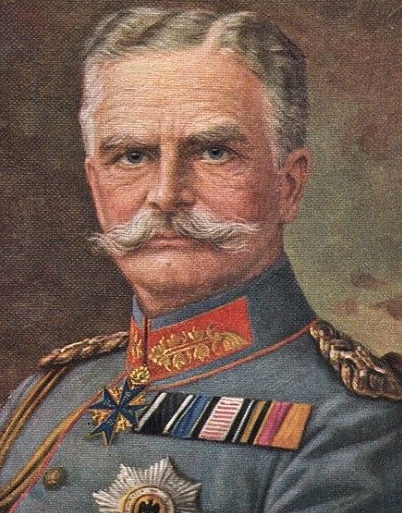 Mackensen was in Prussian service so wouldn't this violate the precedence? 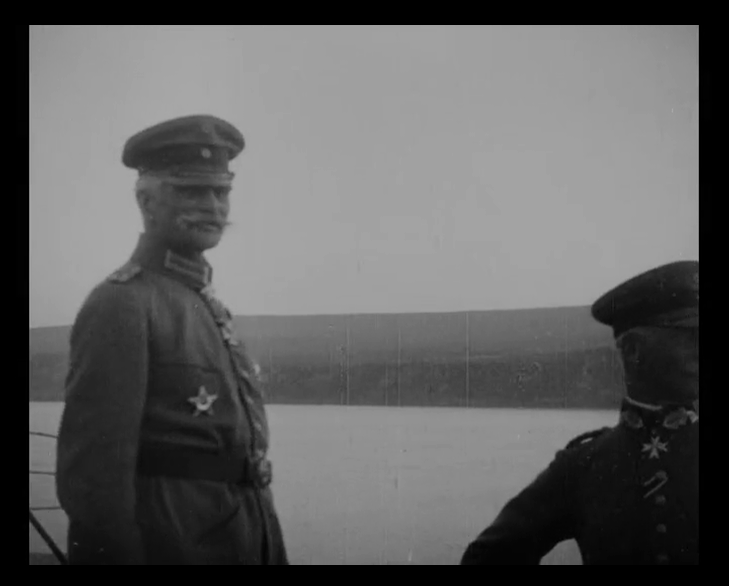 By the 1915 regulations that Braunschweig medal would go after the Centenary medal. In order not to repeat, I found several pictures of my collection.